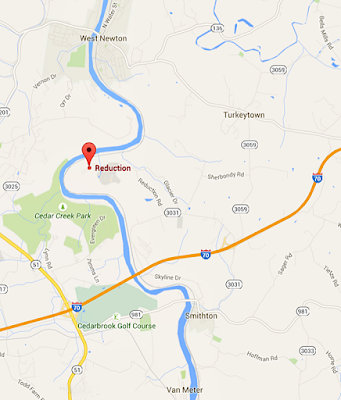 This post mainly concerns Smithton and its environs. 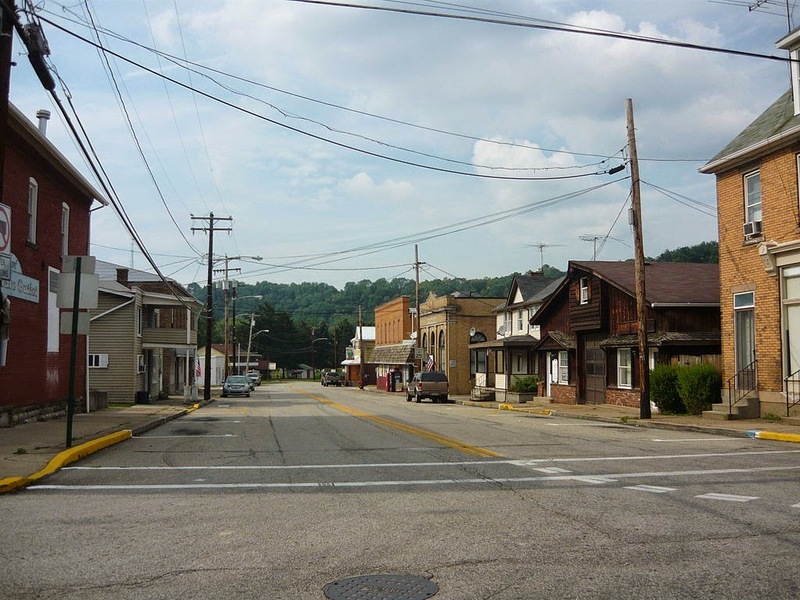 A borough in southern Westmoreland County of the Laurel Highlands of Pennsylvania in South Huntingdon Township. It is here, close by Rostraver Township and the Fayette border, we find news of the life of the actress Shirley Jones and the tragedy of the Darr Mine Disaster, both of which are highlighted among other historical associations. Although Smithton, of the valley of Jacobs Creek Valley, has all the appearance of a 'regular' coal patch town like many others in this area of Southwestern PA, there is a few important exceptions. 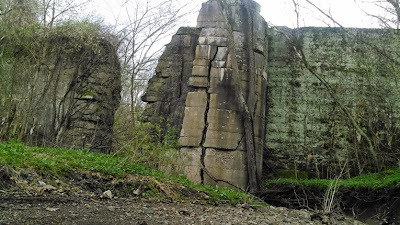 Various places in this region belie the somewhat mediocre first appearances of the obvious, leading us toward many fascinating discoveries for Southwestern Pennsylvania, and perhaps particularly so for the Westmoreland and Fayette county borders which I tend to be more familiar with. Indeed, for one, here Stoney's Beer was rather famously brewed by the Jones Brewing Company until 2002; now out of Latrobe. A site with some cool, detailed stuff on Stoney's is worth checking out for the local beer enthusiasts. 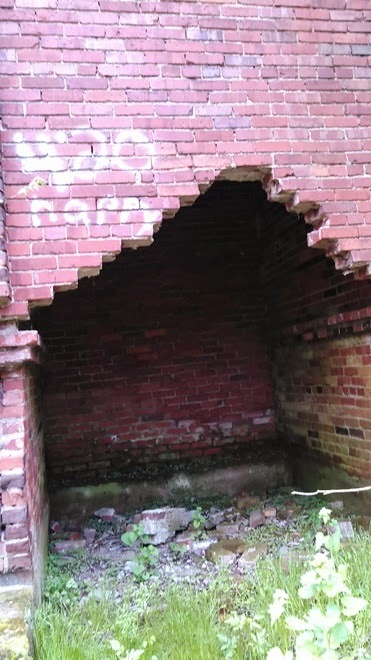 The early industry included coke ovens and shipping various products by the Youghiogheny River. It is also home to the Motordrome Speedway on Route 3059. The U. S. Census Bureau lists the location as by the turn of the century in 2000 as having 444 persons living here in 188 households, but for 2012 we have 393. 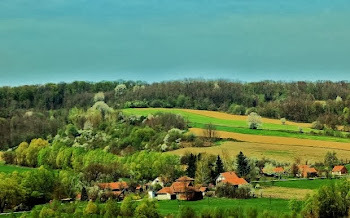 This has become a small hamlet, indeed! The Cedarbrook Golf Course is to the west of the river, roughly between Rt. 51 and Rt. 981, but there is so much more to see. Perhaps just as noteworthy, is the fact that actress Shirley Jones was born here. She was the grand daughter of 'Stoney' Jones! Her story is very interesting and, if you wouldn't mind I'd like to briefly recap her career. Her parents Paul and Marjorie were the owners of the Jones Brewing Co. 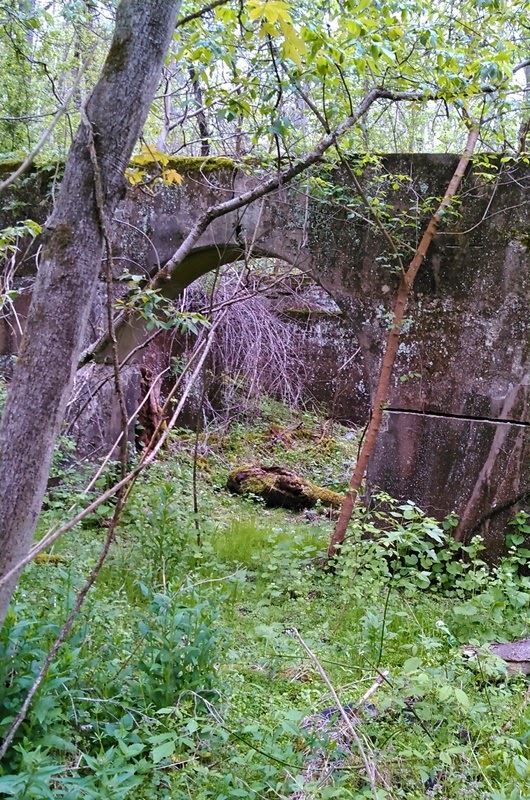 It was first brought to the area in 1907 from Sutersville. Technically, according to Wikipedia, her birth, March 31, 1934, is claimed by Charleroi before moving to Smithton and she was named for the famous little actress of the 1930's, Shirley Temple! Shirley Jones is a show business star of stage and screen. Early in her career she was justly famous for having the first and the only personal contract as a singer with the successful songwriters Richard Rodgers and Oscar Hammerstein. 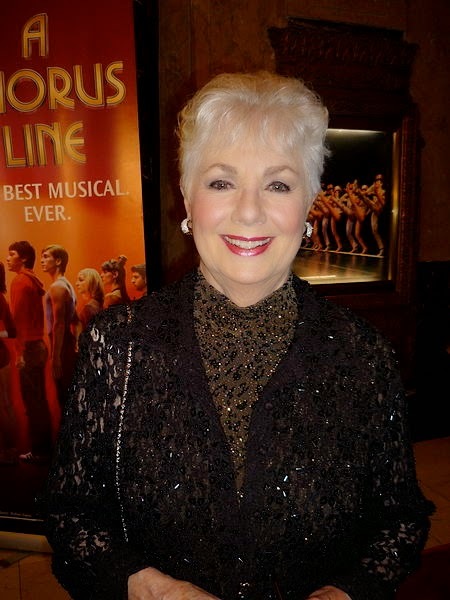 Her musicals include Oklahoma!, Carousel and The Music Man and won an Academy Award for Best Supporting Actress in Elmer Gantry in 1960. Shirley Jones had turned down the role of Carol Brady played by Florence Henderson for The Brady Bunch television show, instead she played Shirley Partridge on The Partridge Family in the early 1970's. She is the real life step mom of actor and singer David Cassidy, the son of actor Jack Cassidy. Shirley has a Star on the Hollywood Walk of Fame. 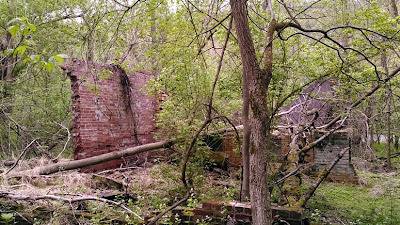 Starting in 1875, the Waverly Mines, (No's 1 and 2), and Coke Works near Rt. 891 and on Jacobs Creek Road to the south and to the north of Smithton at Smith's Mills were the main ones in the Smithton region; they were first owned by B. F. Rafferty. 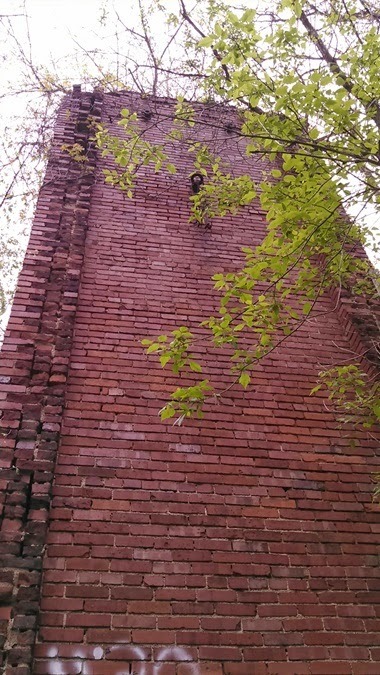 The nearby Universalist church was disapproving of the smoke and dirt and they were proved right, as the region was never picturesque again. Later, the church was used by the mine and also was a mule stable. 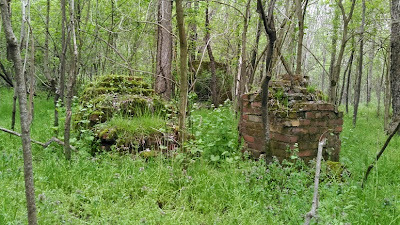 Originally, there were 100 bee-hive ovens here. Further to the south, were the Eurkea and the Darr mines, the last of which experienced a terrible disaster covered in some depth below. possibly, this is from one of the Waverly Mines. 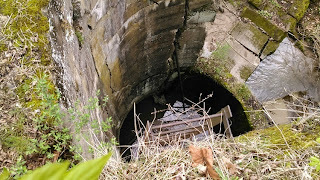 The Darr Mine was located just down river on the western side of the Van Meter area of Rostraver township. 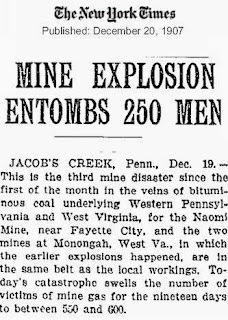 They experienced the worst mine disaster in Pennsylvania history with the deaths of as many as 239 males in December, 1907. 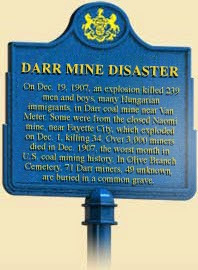 Furthermore, this was one of the worst mining disasters ever encountered in the United States. When reopened in 1910 it was renamed as part of the Banning No. 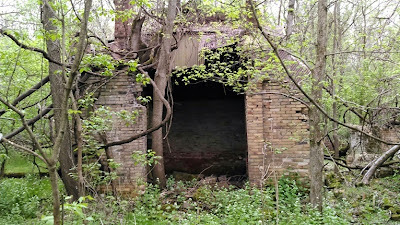 3 mine and most of the remaining coal houses, converted from two-family to single, are from this period. At the time of the disaster, it was then controlled by the Pennsylvania Coal Company. The explosion was primarily caused by mine gas resulting from miners carrying open lamps, as well as lack of timely inspections and poor ventilation which were contributing factors. According to the 'Report of the Depart. of Mines of Pennsylvania' of 1907, the deadly explosion occurred on December 19 at 11:30 A. M. and was so great and the blast so horrific, that upon a superficial investigation the inspectors were sure that none of the miners could be rescued. 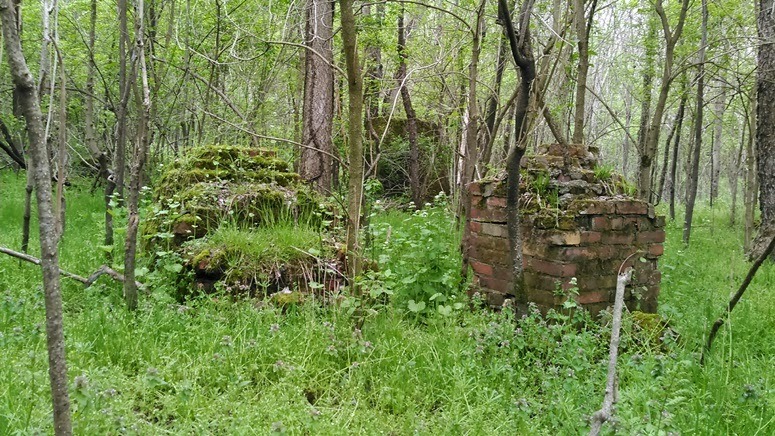 Fortunately, many of the foreign-born miners, with a fair percentage that did not live permanently in the United States, were said to be at a nearby celebration of St. Nicholas, although some from the Niaomi Mine near Fayette City were available to fill in. Over half the workers were Americans of German, English, Welsh and Irish nationalities and were generally more well trained and skilled miners. 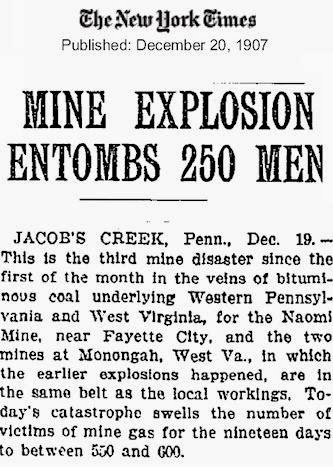 The Naomi Mine itself had an explosion just eighteen days earlier that killed 34 men. 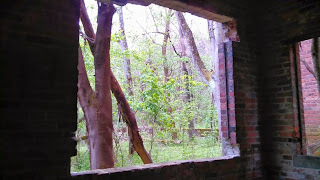 Near the location served by the Pittsburgh and Lake Erie Railroad, there was a cable car ferry across the Youghiogheny River to the coal patch town of Jacobs Creek to the north of the mine and later, a swinging bridge. 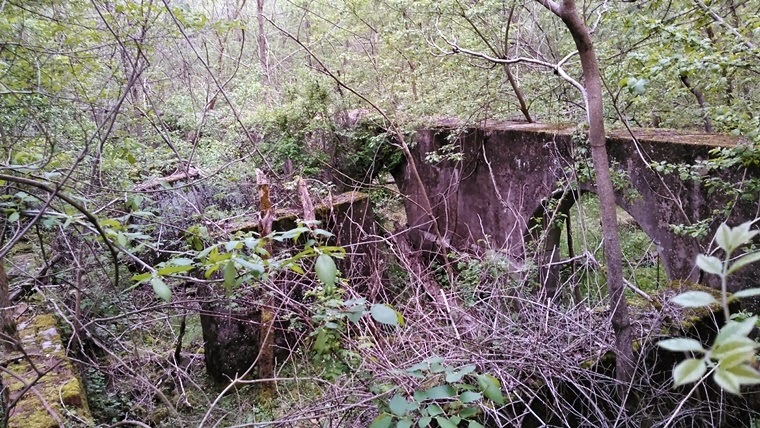 The remnants of the Darr Mine are located beside the Yough River Trail on the old rail bed. 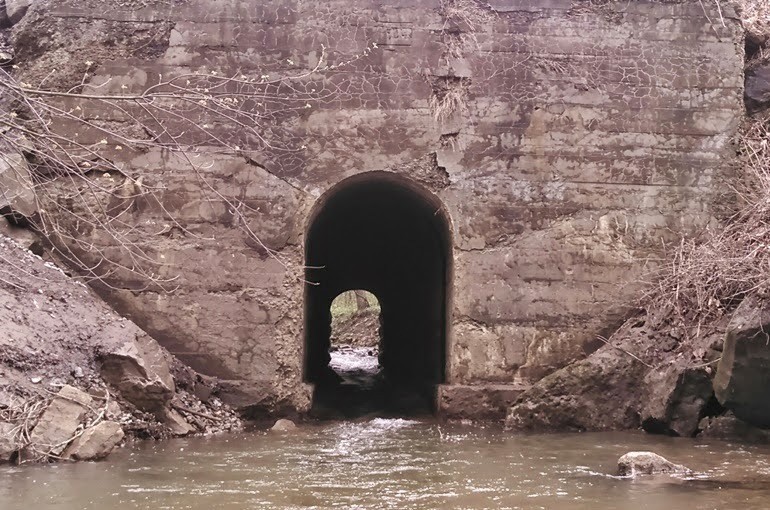 This is not too far from the Fayette County line and Perry township. The mine was again closed in 1919 and once more reopened around 1950.More detailed information can be found here. Raymond Washlaski also has a Memorial page on his site dedicated to all the known deaths. On September 14, 1994 an Historic Site Marker was dedicated at the Olive Branch Cemetery at Smithton, commemorating the tragedy and those that died and the love ones left behind. Almost half of the miners are buried there. It has been rumored over the years that the mine is haunted with voices of Hungarian workers and echoing pick axes! Well, whatever the truth is, God rest there souls! 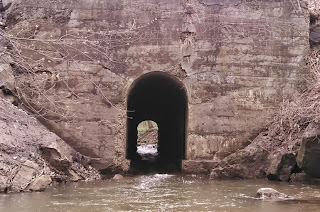 Was wondering if you've found any further information on the smithton dam? A map I came across labels it as Griffin Dam. I still can not find any further information from it's prime.